I was getting in the car with 2 of my friends to go get lunch and we heard a helicopter. We thought it was the hospital's helicopter at first but we spotted it and we knew that it wasn't because it was black. (The hospital helicopters are orange and blue here): we were trying to spot another helicopter and we saw a plane. It looked as if it was just a commercial flight however. 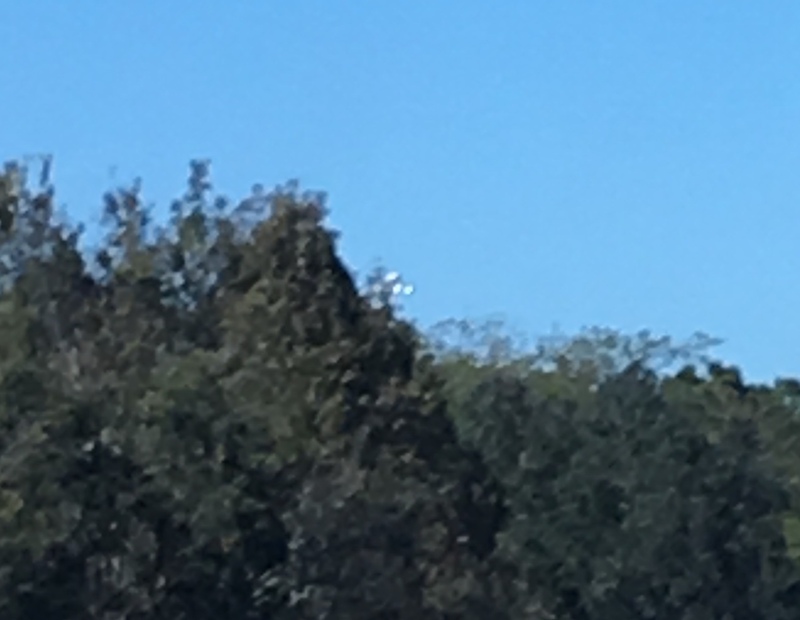 Then we noticed the UFO hovering right above the tree tops and we knew something was wrong. I took a photo but one of my friends have a video. I told him about this site (MUFON) and he said that he would upload a report as well with the video. Anyhoo, the UFO hoovered for about 15 minutes and then very abruptly descended below the tree tops and out of our sight. My friends thought it was cool, but I am scared to know that there are aliens out there, especially ones near me and my neighbors. Judging by the direction it was probably hovering over the nearby elementary school as weird as it sounds. In the picture attached I have cropped and zoomed in so that you can see it better. What do you think this Florida resident witnessed? Share your theories below in the comments or on Facebook, Twitter or Instagram. If you've ever seen a UFO like this, help solve this mystery and report your sighting!